Calendar: «International Holocaust Remembrance Day», «Days of Remembrance of the Victims of the Holocaust». 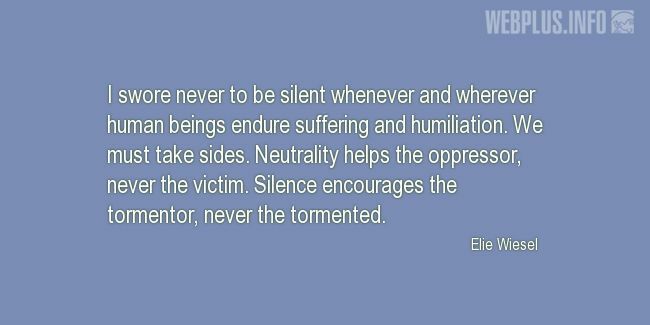 «Neutrality helps the oppressor» illustrated quotation. Holocaust, free quote pictures for Facebook, Twitter, LinkedIn, Reddit, Pinterest and other social networks.